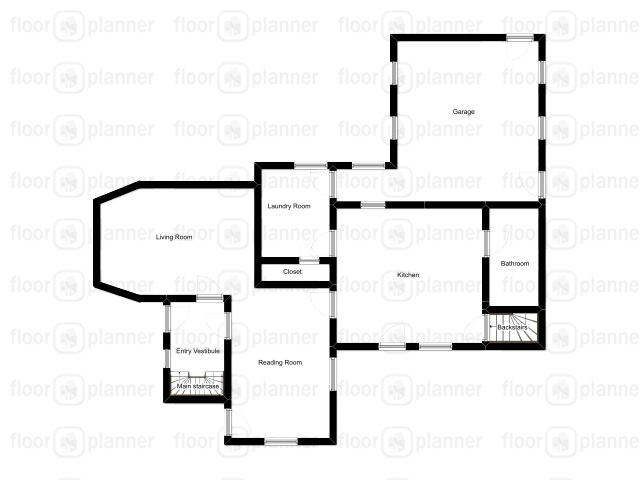 When I shared a quick house tour the other day, a few of you mentioned in the comments that you were confused and would appreciate a floor plan...so here you go! Please note that not a damn thing is to scale, since I haven't measured a single wall. 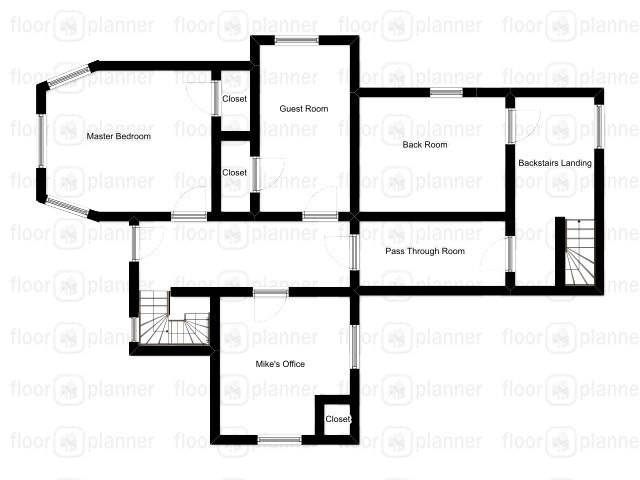 I used FloorPlanner to make these, and found it even easier to use than my previous go-to, The Make Room. I didn't include the porches, and I'm sure I probably missed a window or misrepresented the swing of a door here and there, but at least I hope you kind of get the gist of it now. On another note, I'm still trying to get my image mapped header to center. I've been unsuccessful with everything I've done up until now, so until I get it figured out, I've widened my entire blog so that it at least appears centered. This isn't a permanent solution since the posts are really wide and it's driving me a little bit crazy. Content in the pages is a little sparse right now, but over time they'll fill out and hopefully be a little more dynamic. Mike and I have a friend coming home for the summer from Igloolik, so we're heading out with friends tonight to see him. Tomorrow we're taking a day trip down to Buffalo to see the Book of Mormon - has anyone seen it? We've heard it's hilarious and are really excited! Sunday we'll hopefully sleep in (we won't get back home until laaaaate Saturday/early Sunday morning), and then it's a day full of slo-pitch. What have you got going on this weekend? Hope it's a good one!